This post was written by Hatchet reporter Tim Palmieri. You and your roommates aren’t the only ones competing for Twitter followers. 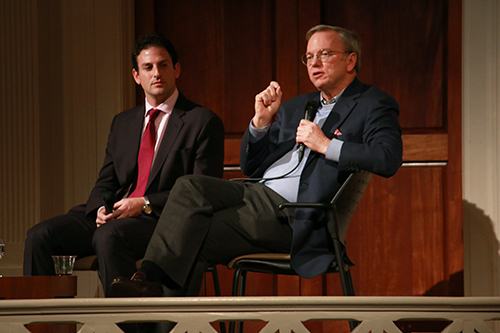 Google executives Eric Schmidt and Jared Cohen are also embedded in a high-level follower count rivalry, they told a crowd at the Sixth & I historic synagogue Thursday. But they weren’t there to just talk about Twitter. Cohen, the director of Google Ideas, said the organization has been focused on combating repressive online censorship. He said a newly developed site called uProxy, which enables friends and families to share the Internet in repressed societies, may be the solution to the problem. “We don’t appreciate how fundamental our rights are and we need to deliver those to the rest of the world. Instead we focus on new phone cases, and who has the fastest fiber,” Schmidt, Google’s executive chairman, said. Cohen said nearly everyone can learn about the world’s conflicts on the internet. But it’s hard to understand what is actually happening because of the biases in that information sharing. 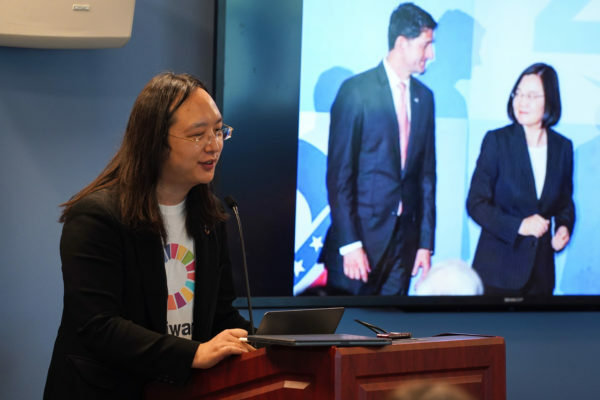 The power duo, which recently published a book called “The New Digital Age: Transforming Nations, Business and Our Lives,” also spoke about the challenge of creating a more diverse workforce. While getting women into executive positions has been a slow process, they maintained that Google has had a good track record. Event moderator Alec Ross read a list of 30 women in high positions for the company and asked how Google tackled the gender bias, which has been made public in the tech world by female executives like Facebook’s Sheryl Sandberg. “It’s because Google is that good,” Cohen said. Schmidt said it’s tough to hide the white male bias in the industry, and pointed to a future in which more women hold higher positions in tech fields. “If you want to have a good company, diversity is the right thing. 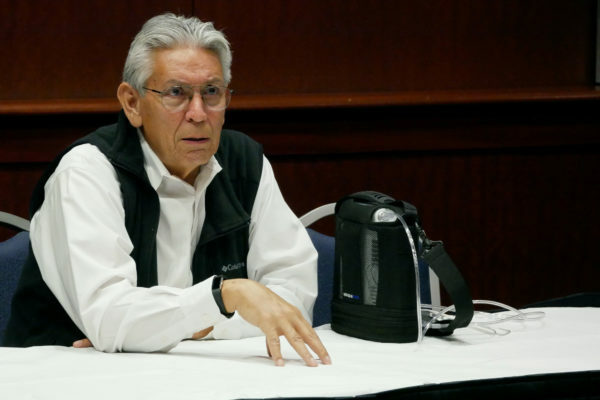 If you want to have a good moral company, diversity is the right thing,” Schmidt said.